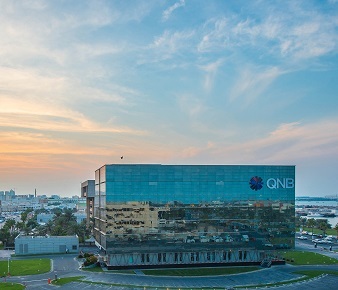 Doha, Qatar– QNB Group, the largest financial institution in the Middle East and Africa (MEA) region, announced its results for the nine months ended 30 September 2018. Total assets increased to QAR853 billion (USD234 billion), up by 8% from September 2017.The key driver of total assets growth was from loans and advances which grew by 4% to reach QAR604 billion (USD166 billion). This was mainly funded by customer deposits which increased by 7% to reach QAR615 billion (USD169 billion) from September 2017. The growth of the Group assets and liabilities has been partly affected by the devaluation in the Turkish Lira. Despite the devaluation impact, QNB’s strong asset liability management capabilities helped QNB Group to improve its loans to deposits ratio to 98.3% as at 30 September 2018. Robust credit quality is underpinned by non-performing loans ratio of 1.8% as at 30 September 2018, a level considered one of the lowest amongst financial institutions in the MEA region. The Group’s conservative policy in regard to provisioning resulted in the coverage ratio at 106% as at 30 September 2018. Capital Adequacy Ratio (CAR) as at 30 September 2018 amounted to 15.6%, higher than the regulatory minimum requirements of the Qatar Central Bank and Basel Committee. Currency headwinds in our core markets had limited impact on the CAR. QNB’s successful funding from the international markets during the year which includes, amongst others, (1) capital market issuances of USD560 million (AUD700 million) with a 5 and 10-year maturity in Australia and (2) USD720 million bonds with 30 year maturity in Taiwan. This reflects the Group’s success in diversifying funding sources by entering new debt markets, sourcing sustainable long-term funding, extending the maturity profile of funding sources and the trust of international investors in the strong financial position of QNB Group and its strategy.